As soon as you land in Delhi, our representative will meet and greet you at airport and transfer you to hotel. Stay in the hotel for remaining day and relax. 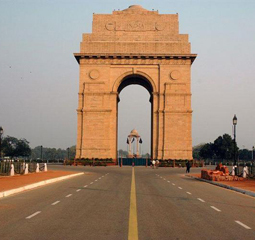 In twilight, explore the hype and bustling life in this superb capital of Delhi. Return to your hotel. Enjoy the dinner in your serene hotel room and then retire on your bed. Enjoy a great breakfast served right on the first call in your hotel room. A welcome meeting will soon follow. A sightseeing tour of Delhi is organized, which would take you through Red Fort, Jama Masjid - India’s hoariest and biggest mosque, Raj Ghat - the resting place of Father of India – Mahatma Gandhi and several more. Enjoy the luncheon in a world class restaurant that specializes in classic Indian cuisine. Return to your hotel latest by evening. Unwind yourself in the hotel room. Enjoy the dinner in the composed room of your hotel and afterwards retire on your bed. Enjoy a great breakfast served right on the first call in your hotel room. 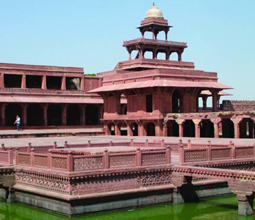 Subsequently, move to Agra, which once happened to be the Mughal capital. Once in Agra, visit the magnificent Agra Fort, which clearly asserts India's finest Mughal buildings behind its fortified walls. Ride on a motorized buggy to the renowned Taj Mahal and be a witness to romantic sunset. Taj Mahal was constructed by Shah Jahan in the 16th century is an enduring memorial, dedicated to his beloved wife Mumtaz. The structure is built entirely from white marble. Optional Tour– Visit the Mohabbat -The Taj, It is a musical performance, which translates the epic story behind the history of the Taj Mahal through perfect combination of music, dance and drama. Return to your hotel latest by evening. Unwind yourself in the hotel room. Enjoy the dinner in the composed room of your hotel and afterwards retire on your bed. Optional – Visit the Mohabbat The Taj, a musical extravaganza translating the epic story behind the history of the Taj Mahal through the language of music, dance and drama. Enjoy a great breakfast served right on the first call in your hotel room. En route Jaipur, take a halt at mystical Mughal city of Fatehpur Sikri. This glorious fortified city happened to be capital of the Mughal Empire from 1571 until 1585. However, owing to lack of water, the city was abandoned by denizens. The city is well preserved and looks extraordinarily terrific. Return to your hotel latest by evening. Unwind yourself in the hotel room. Enjoy the dinner in the composed room of your hotel and afterwards retire on your bed. Enjoy a great breakfast served right on the first call in your hotel room. Jaipur – the pink city of India is citadel of Rajputana cult. Get ready for tour of 16th century Amber Fort. 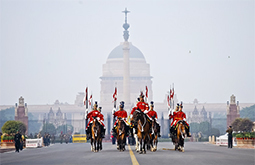 The striking elephant ride will transport you to the haughty fort, known for several reasons. Later in the afternoon take the planned tour to City Palace, which asserts of an interesting museum of majestic attire and further on to Jantar Mantar, an ancient astronomical observatory, before halting at a cotton weaving house, where you would catch the exciting glimpse of demonstration of fabric dyeing and block printing. Return to your hotel latest by evening. Unwind yourself in the hotel room. Enjoy the dinner in the composed room of your hotel and afterwards retire on your bed. Enjoy a great breakfast served right in your hotel room Jaipur - Alsisar. Take the road drive to the semi-desert area of Shekhawati. The small towns located in this area became one of the key trading posts. The eternal inheritance can be clearly showcased in form of beautiful painted havelis (mansions) constructed by wealthy merchants of the 18th and 19th centuries. In the afternoon village walk and take delight as you relax. Return to your hotel latest by evening. Unwind yourself in the hotel room. Enjoy the dinner in the composed room of your hotel and afterwards retire on your bed. After having a delicious breakfast, take a small tour in local school in Alsisar before making a return trip to Delhi. In the afternoons you have plenty of time free to discover the city. Return to your hotel latest by evening. Unwind yourself in the hotel room. Enjoy the dinner in the composed room of your hotel and afterwards retire on your bed. Delhi – Srinagar - After having a delicious breakfast, set for road journey to Srinagar, the capital of Jammu and Kashmir, with strategic location in the northwestern region of India. Jammu and Kashmir is surrounded in the north by China, to its east by the independent region of Tibet, to its south by the Indian states of Himachal Pradesh and Punjab, and to its west by Rawalpindi (in Pakistan) and on North Western side by Afghanistan. After you arrive, you will be greeted and met by our representative and thereupon transferred to houseboat parked on Nageen Lake, part of Dal Lake, where you will stay for the next 4 nights. Dal Lake encompasses an area of 18 square kilometres and dotted with spectacular Mughal Gardens, resorts, houseboats, apart from colorful Shikaras. The Shikaras are basically small wooden vessels and potent means of transportation. In the evening, take a mirthful ride on a Shikara and view beautiful sunset.Return to your hotel by late evening. Unwind yourself in the hotel room. Enjoy the dinner in the composed room of your houseboat and afterwards retire on your bed. After enjoying delicious breakfast in Houseboat, board the colorful Shikara, and visit the floating gardens, popular as "Rad" in Kashmiri. The gardens present magnificent sight of Tomatoes, cucumbers and melons that just grow the best. Return to your houseboat by late evening. Unwind yourself in the room. Enjoy the dinner in the composed room of your houseboat and afterwards retire on your bed. After having a relishing Kashmiri breakfast, get set and go for exploration of the local markets for some bargains. 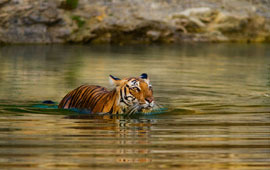 If you want, you can relax on your house boat and get mesmerized with stunning environs of Lake Dal. Return to your houseboat by late evening. Unwind yourself in the room. Enjoy the dinner in the composed room of your houseboat and afterwards retire on your bed. Srinagar - Delhi. Travel to Srinagar and transfer to the airport to catch onward flight to New Delhi. As soon as you land in Delhi, our representative will meet and greet you at airport and transfer you to international departure terminal.